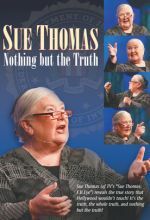 Diagnosed as totally deaf at the age of 18 months, Sue Thomas nevertheless went on to a successful career in the FBI. Her exploits were dramatized in the popular TV series, "Sue Thomas F.B. Eye." As an international speaker, Sue has shared the story of God's power to use her mightily in spite of tremendous obstacles.